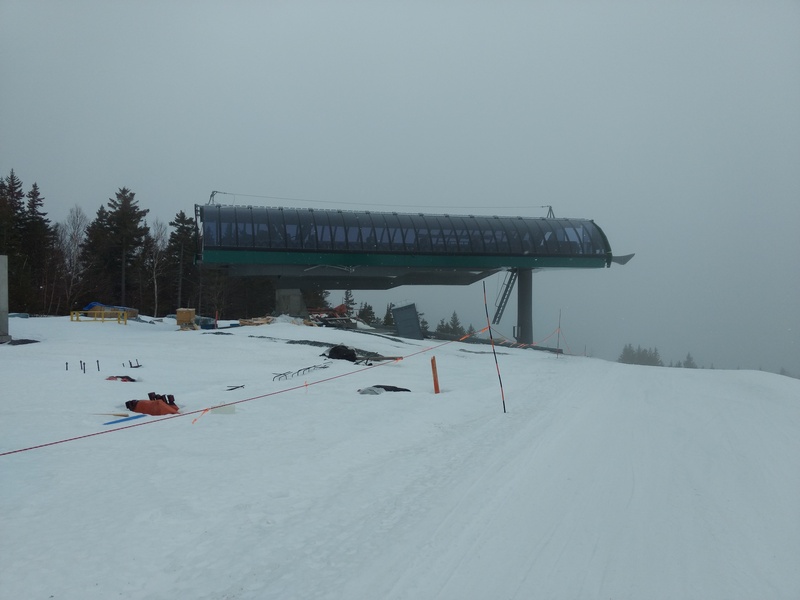 Telluride weighs building at least one big detachable next summer as the Forest Service tentatively approves replacements for Plunge, Sunshine Express and Village Express. 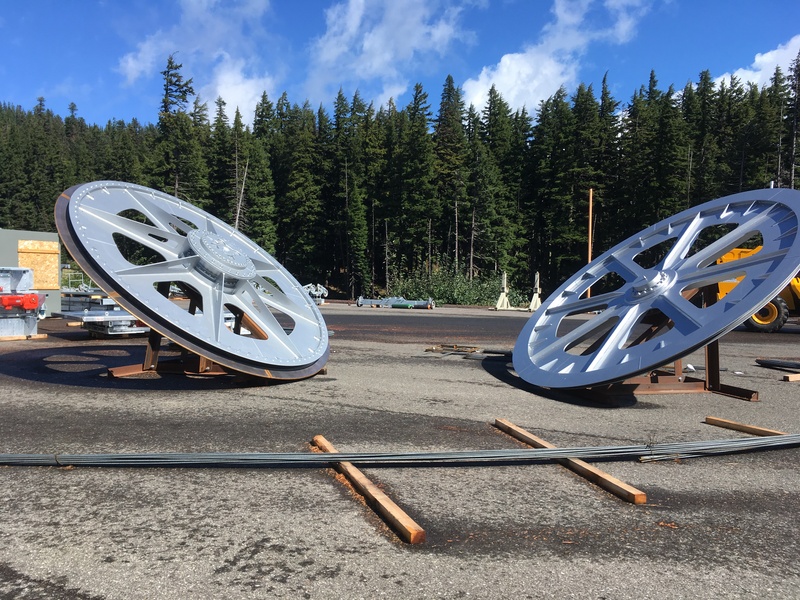 White Pass, WA retires its platter in favor of a 380’ carpet. 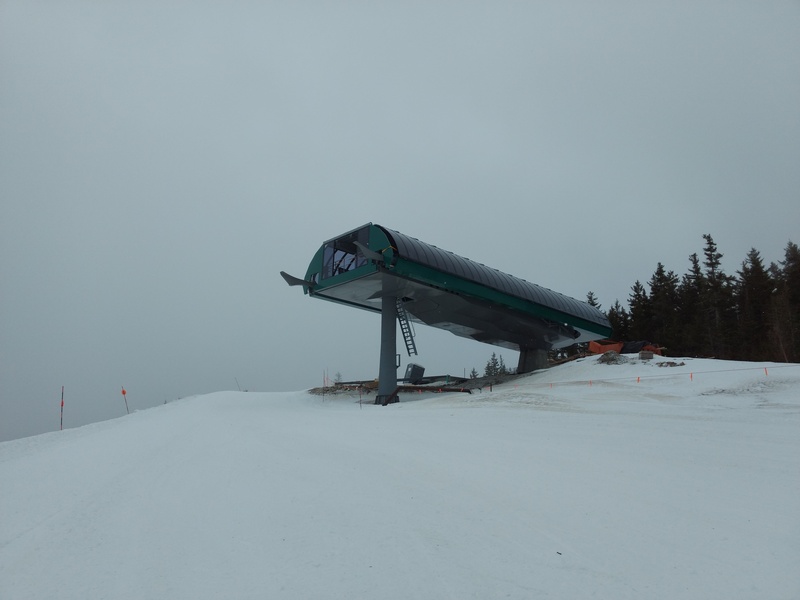 LiftDigital goes live for testing at Winter Park. 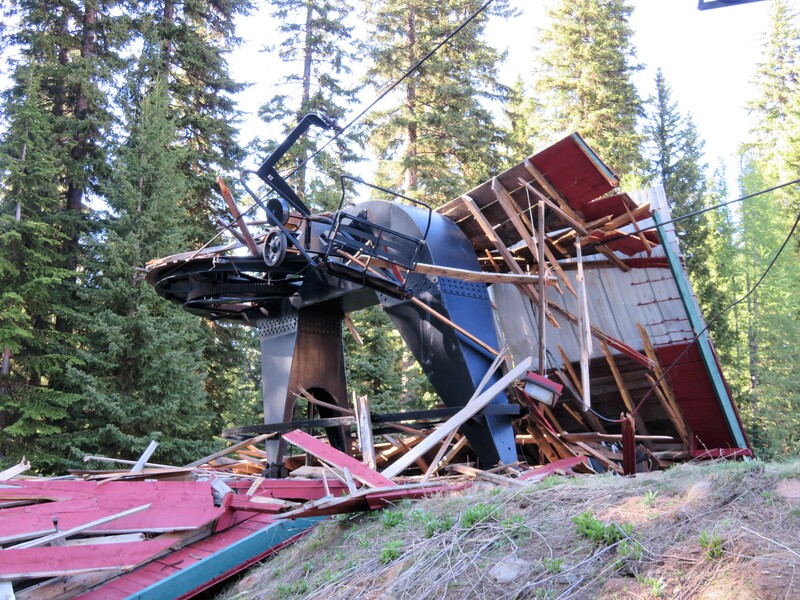 Taos says goodbye to two more chairlifts – that’s four in one summer! 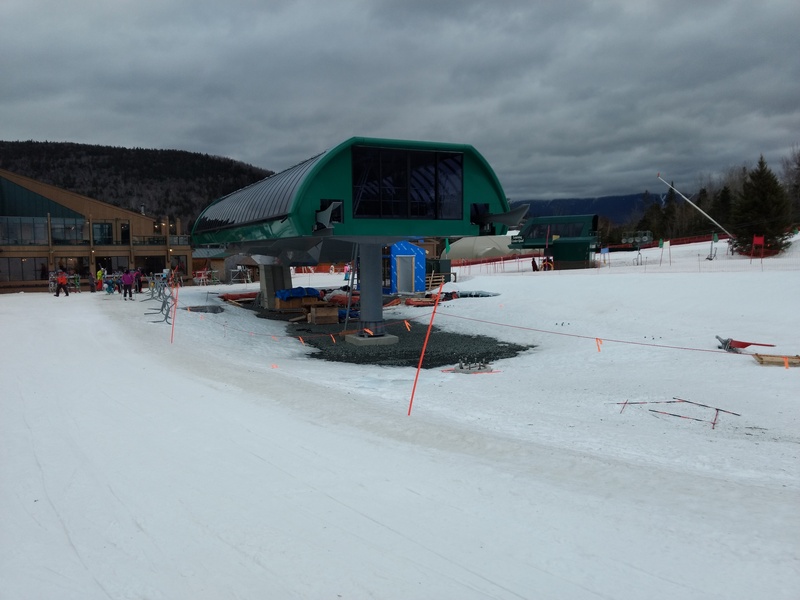 Song Mountain, NY is replacing its 1965 Thunderbird T-Bar with a chairlift. Anyone know where it’s from? The Rainforest Adventures crew gets one Skytrac back in action and works to repair the other following Irma’s devastation of St. Maarten. 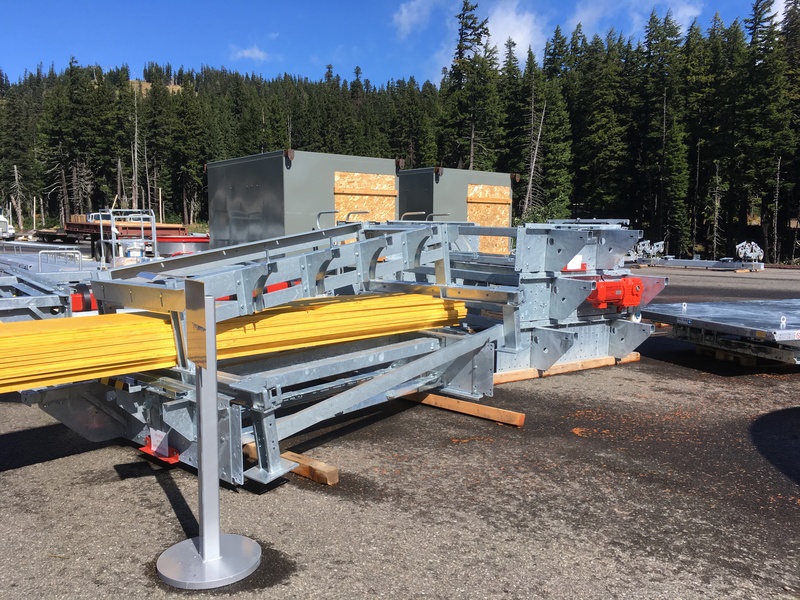 Scroll through these photos of a new high-speed quad in Switzerland with four stations, three sections, two haul ropes and only one drive! Albany gondola group to be led by former chief executive of the New York State Department of Transportation and Federal Highway Administration Thomas Madison, Jr. 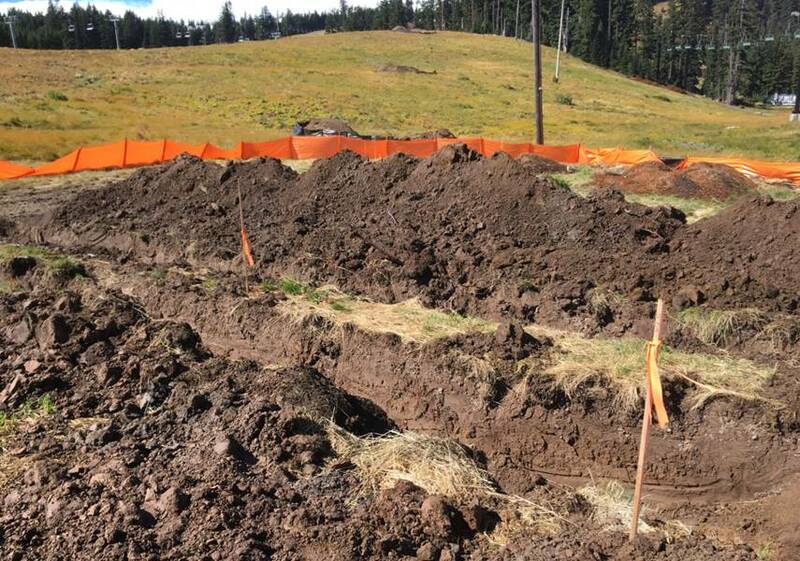 Authorities briefly seize Granby Ranch, site of last season’s fatal lift incident, over delinquent taxes. 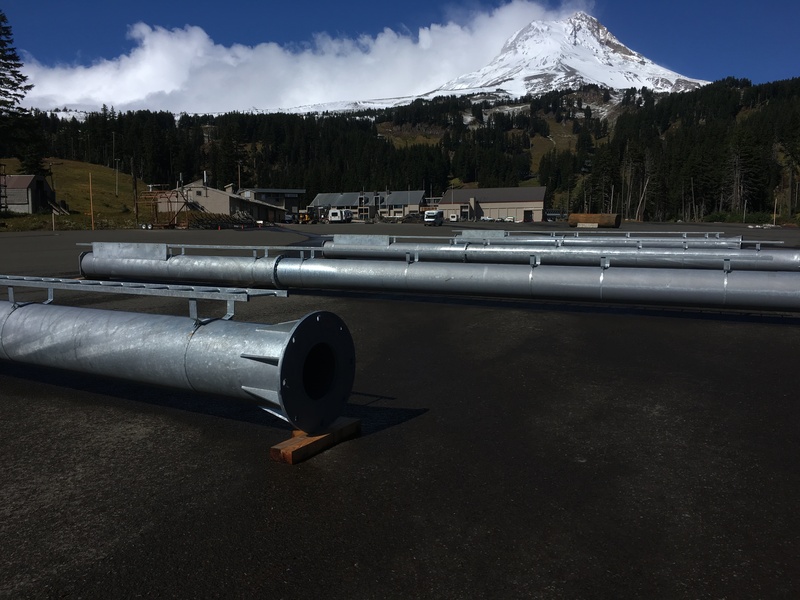 Spout Springs in Oregon won’t open for a second year in a row and remains for sale. Mi Teleférico’s Orange Line did 93,847 riders its first weekend. 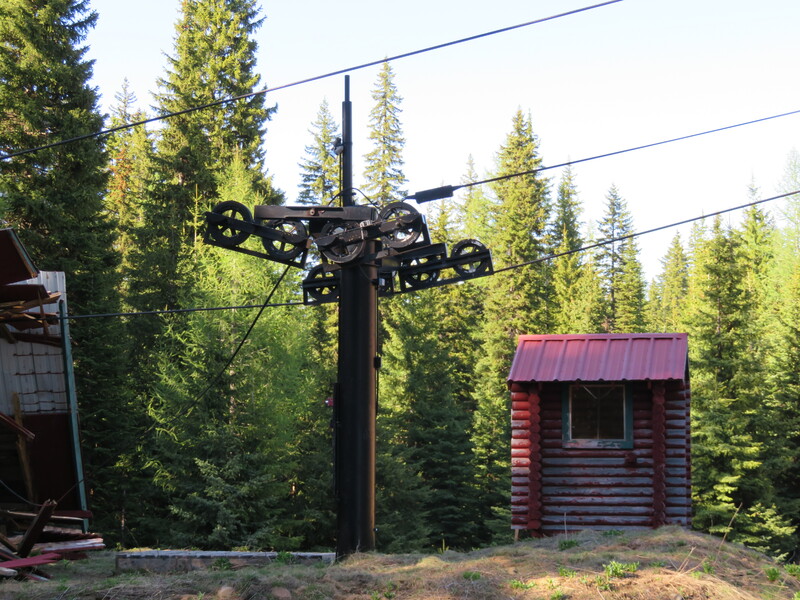 The Happy chair at Spout Springs, Oregon seen May 28th, 2017 after a rough winter not operating. 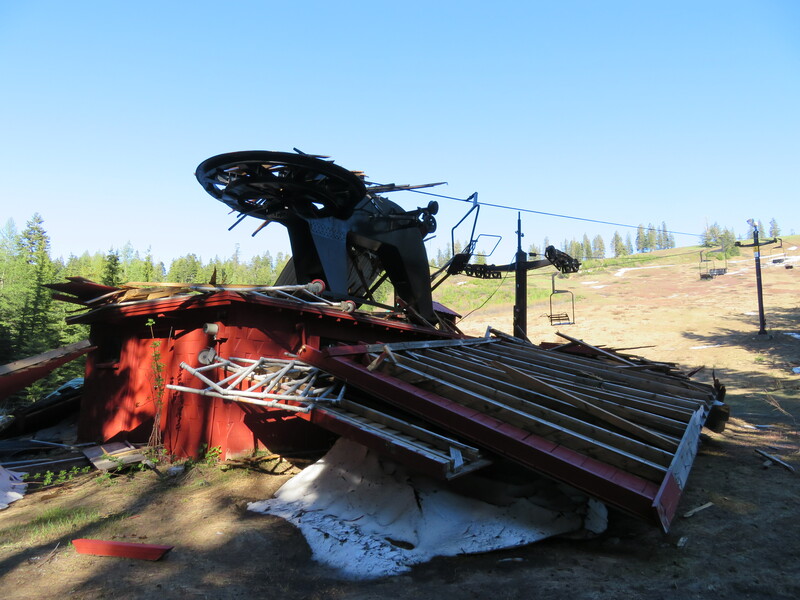 I was expecting a typical recently-lost ski area scene as I drove toward Northeastern Oregon this morning. 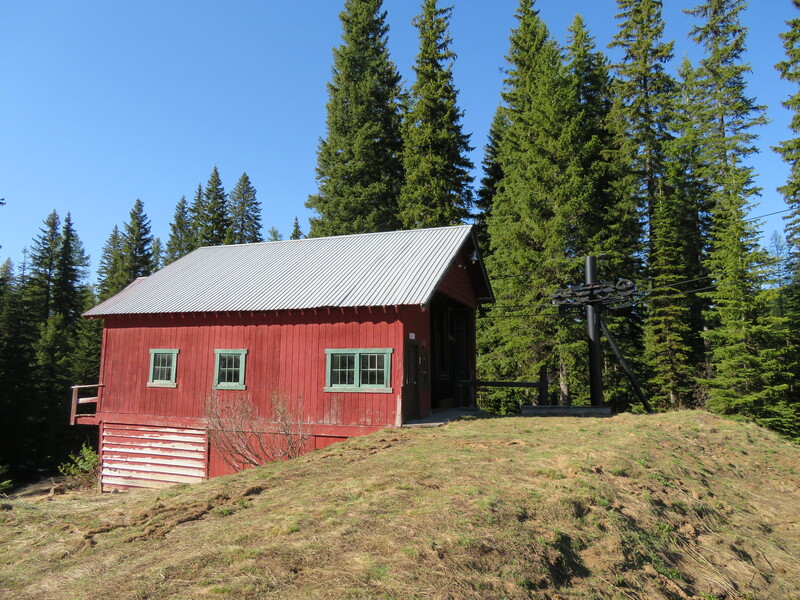 Located in the Blue Mountains where Idaho, Oregon and Washington converge, Spout Spring Ski Area once featured three Hall lifts: two doubles and a T-Bar. 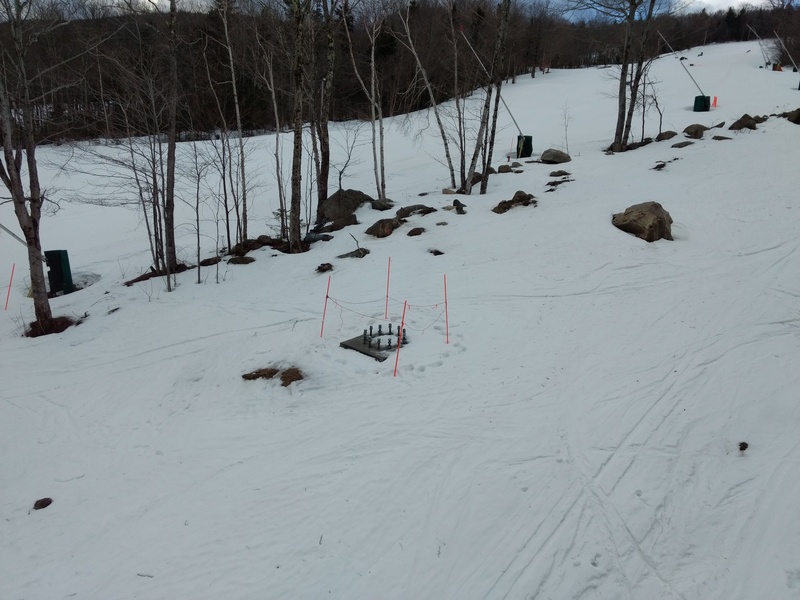 When I arrived at the first lift, called Echo, I was pleasantly surprised at the shape it was in, looking as if it had operated this season with ANSI signs neatly stacked and chairs flipped. 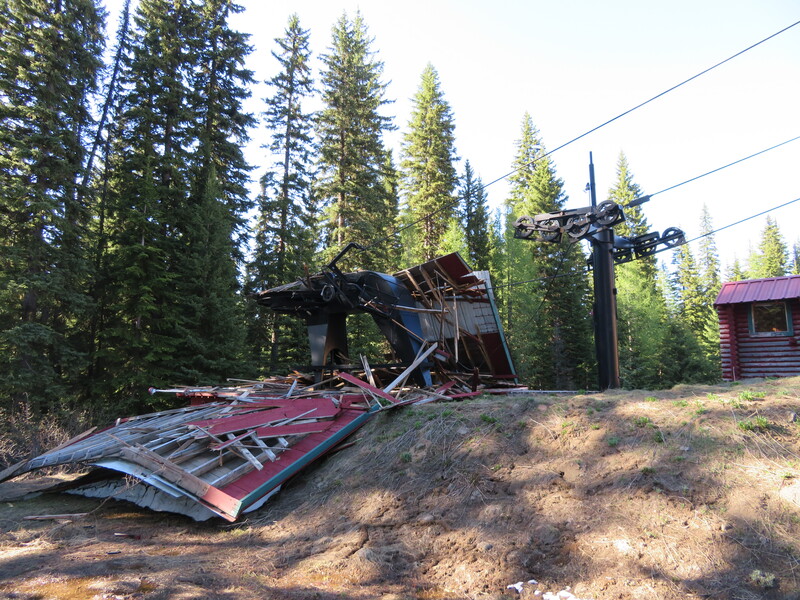 After all, it has only been 15 months since these lifts hauled skiers. 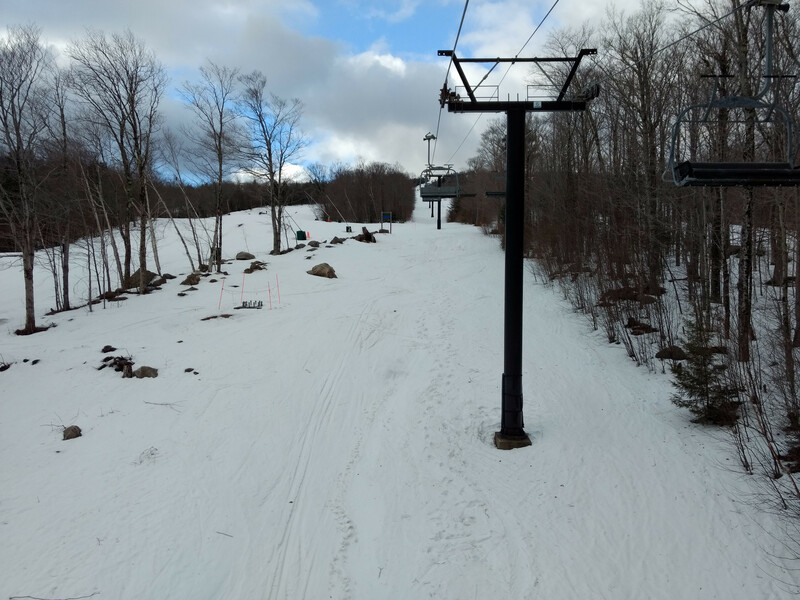 Next I rounded the corner to the base-to-summit Happy double, which looked anything but happy. Surveying the scene above, I instantly assumed vandals had somehow knocked over the building that houses the 1965 double chair’s bottom drive bullwheel. But another clue was all around me. 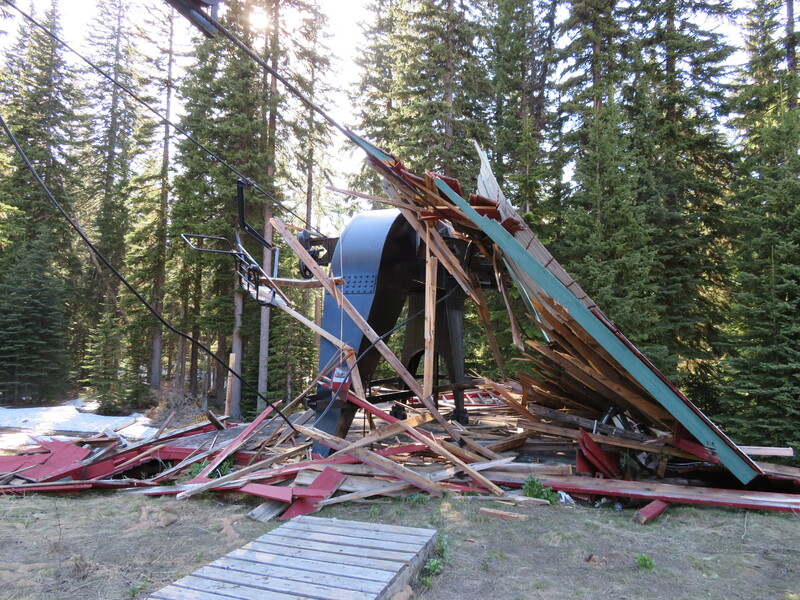 The massive snow load from this winter in the Blue Mountains was probably too much for the almost 55-year old building to handle. Not only did it fall on top of the terminal, wood got hung up in a chair which bent like a pretzel and caused the light side to de-rope in two places. 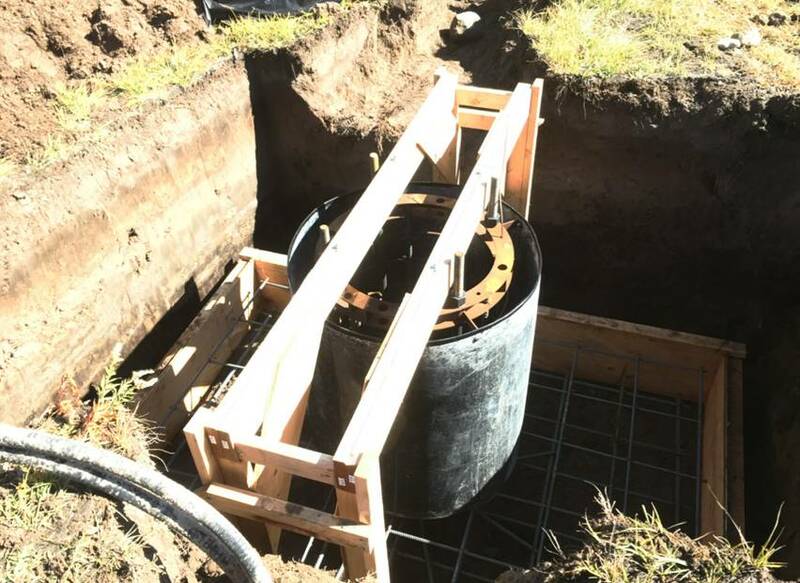 The Echo double is the only lift at Spout Springs remaining in operable condition. 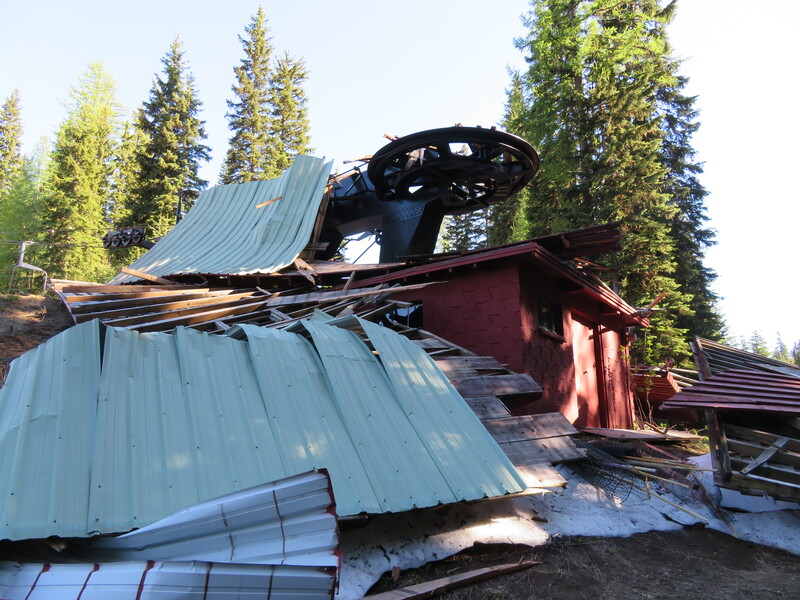 Its bottom terminal building is similar to the one that fell on the Happy chair this winter.